A special prayer for rain took place nationwide Monday afternoon after a hot and dry spell at the end of the northeastern monsoon. 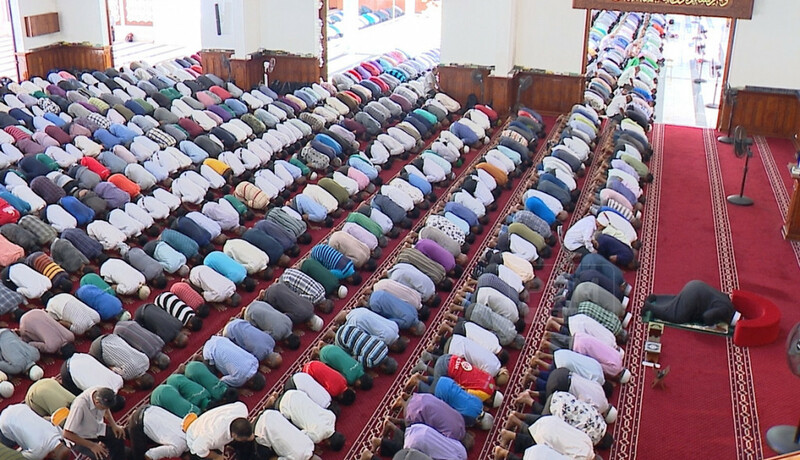 Organised by the Islamic ministry, the Salatul-Istisqa prayer followed by a sermon was observed at the largest mosque on all inhabited islands across the Maldives. 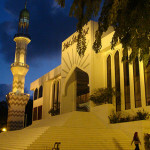 The congregation was at the Islamic centre in the capital Malé. There was a light drizzle while the prayer was ongoing. 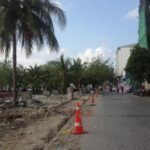 The temperature recorded at the airport island on Monday was 32 degree celsius, according to the Maldives Meteorological Services. 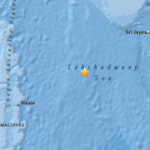 It was 33 degrees celsius in the northern island of Hanimaadhoo, which could be experienced as 41.4 degrees celsius relative to humidity and wind. On Sunday, officials from the Met told the press that temperatures are expected to fall this week with forecasts of rain throughout the country. The dry season ended in the first week of April. Scattered showers and a few thunderstorms will be experienced in southern atolls, the Met predicted. Showers are also expected in central and northern atolls with the beginning of southwest monsoon or rainy season. As temperatures soared last month, the Health Protection Agency advised the public to take precautionary measures such as staying hydrated, organising outdoor activities during cooler hours of the day, limiting exposure to direct sunlight during the hottest hours, and using ultraviolet eyewear and sun lotion. According to the met department, average temperatures for March exceeded 32 degree celsius. 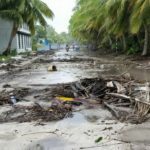 Nearly half of inhabited islands in the Maldives run out of water during the annual dry season. 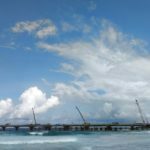 There were also bottled water shortages in Malé during the dry season in the past two years. 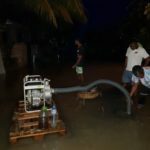 After production companies halted deliveries in April last year, shops started rationing and the price of the smallest bottle rose to MVR15 (US$1).